This bi-fold continental wallet is crafted from soft nappa leather and accented with an intrecciato-engraved snap button in dark gold finish. It is made in a new construction that gives our iconic intrecciato weave a framed effect. The design is detailed with double seams, hand-painted edges and a leather interior. 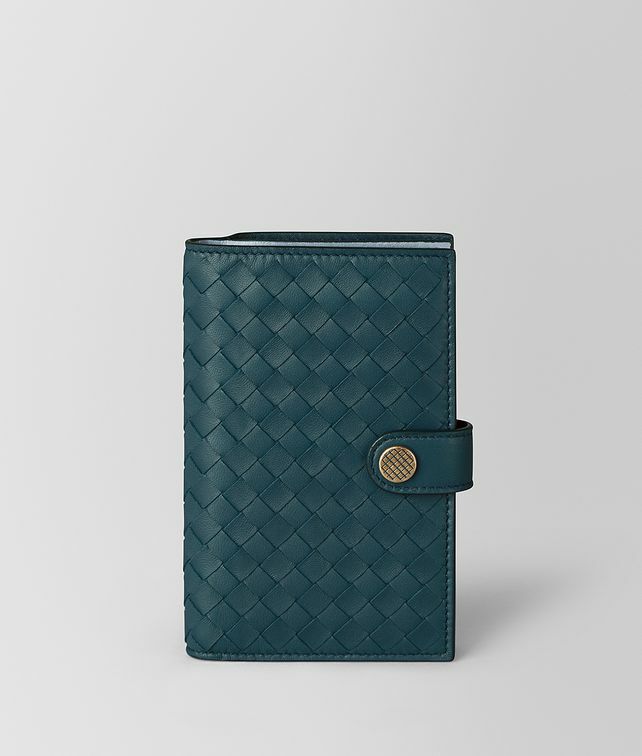 The interior is fitted with ten card slots, one note compartment, four compartments for storing receipts and a zip coin purse. Height: 10 cm | 3.9"
Width: 19 cm | 7.5"